The tension is mounting in the Superstock class on the eve of the final race of the 2017-2018 season in Oschersleben. Tati Team Beaujolais Racing will strive to maintain their lead over the competition to pick up their first-ever FIM Superstock World Cup. Tati Team Beaujolais Racing are totally focused right now. 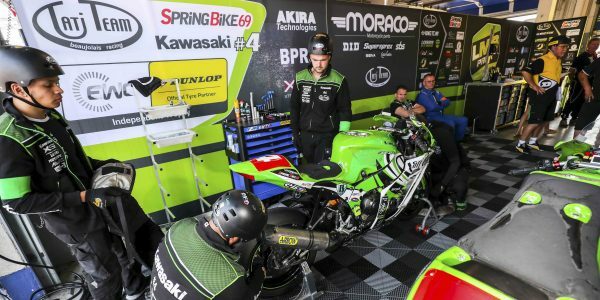 With only a slender 7-point lead in the standings, the Kawasaki-mounted French privateer team are preparing to keep their fastest rivals at a safe distance. Riders Julien Enjolras, Julien Pilot and Kevin Denis are gearing up to withstand a concerted attack by some highly motivated teams. Their most ambitious rival at the 8 Hours of Oschersleben is Moto Ain. Roberto Rolfo, Alexis Masbou and Christoffer Bergman were the fastest in qualifying on Moto Ain’s Yamaha this morning, and took 9th place on the starting grid. 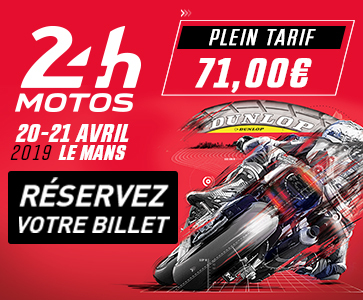 Moto Ain’s goal is to close the 10-point gap separating them from Tati Team Beaujolais Racing. Another formidable opponent is Yamaha Viltaïs Experiences, winner of the FIM Superstock World Cup last season and 11th-fastest in qualifying. Though they are too far back in the provisional standings to have anything at stake, Florian Alt, Axel Maurin and Vincent Lonbois could well pull off a surprise victory. Italian squad No Limits Motor Team (Suzuki) are 12th on the 8 Hours of Oschersleben starting grid. Like Yamaha Viltaïs Experiences, they are a shade too far behind the leader in the standings, but Lucas Scassa, Christian Gamarino and Michael Mazzina are determined to go all out to score a podium. 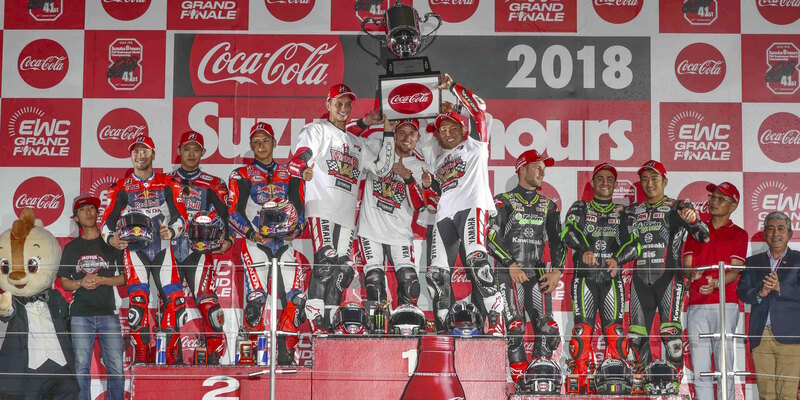 Another contender in the pack pursuing Tati Team Beaujolais Racing is Junior Team Le Mans Sud Suzuki, who qualified in 13th place and are clearly in attack mode. They are second in the FIM Superstock World Cup provisional standings, 7 points behind Tati Team Beaujolais Racing. Hugo Clère, Alex Sarrabayrouse and Louis Rossi’s mission in the saddle of the Suzuki #72 is to do whatever it takes to win. So Tati Team Beaujolais Racing are facing what will seem like the longest race of their career in Oschersleben tomorrow (Saturday). Having made steady progress since their 2014 debut, the team may well win their first-ever FIM Superstock World Cup tomorrow. Check back at the finish of the 8 Hours of Oschersleben at 9pm CEST for the final result.